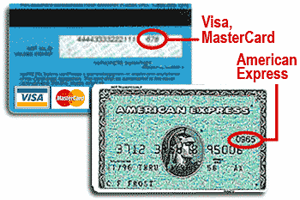 The CVV Number ("Card Verification Value") on your credit or debit card card is a 3 digit number on VISA, MasterCard and Discover cards and a 4 digit number on American Express cards. It's on the back of VISA, MasterCard and Discover cards and the front on American Express cards. Processing ... please do not click 'Purchase Now' again.